This book is a comprehensive reference source for students & teachers to all the fundamentals of playing the guitar. It starts out with one of the most important steps to learning the instrument, & that is getting to know the fretboard. 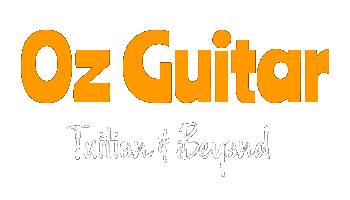 There are sections on the different types of notation you will come across as a guitarist including a number of essential rhythms. You will also be exposed to exercises to get your hands in shape to play the numerous chords, scales & arpeggios that are listed in the book. Other topics covered include diads & triads, strumming & fingerpicking patterns, dropped D tuning & chord concepts. Nearing the back are chapters on theory & harmony, plus practice progressions & a quiz section with questions to test your knowledge & skill. It closes with a huge list of tunes in a wide range of styles that are recommended for the student to learn. "Perfect for someone wanting to learn guitar"
"It is clearly laid out & easy to understand"